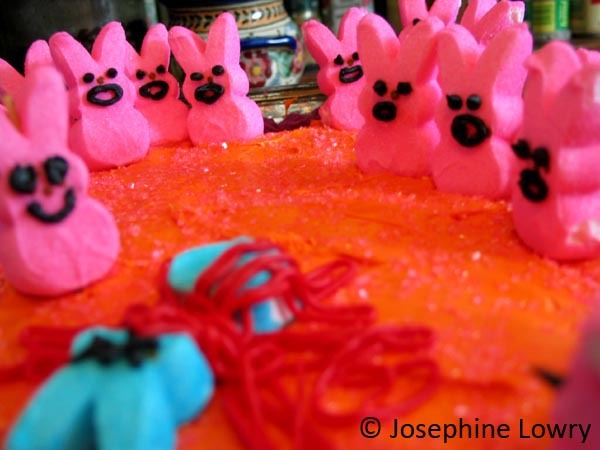 Unlike chocolate and peanut butter, my affinity for the color red and Easter Peeps may not be the perfect combination. And when you factor in the ritual of biting the ears off chocolate bunnies, well, let’s just say that my springtime creations might not be something you’d bring to brunch at Grandma’s house. 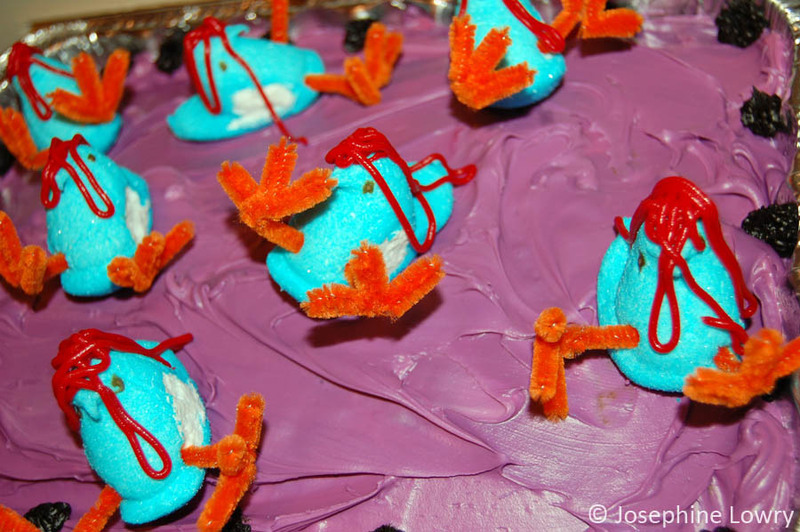 When I think of Easter, I think of knife-welding marshmallow peep bunnies, don’t you? Take for example the recent cancellation of the Easter egg hunt due to aggressive helicopter parents. All that sugar and competition is a recipe for disaster and mayhem. Plus, I think we all can (and should) not limit the ear-whacking off to just chocolate bunnies. 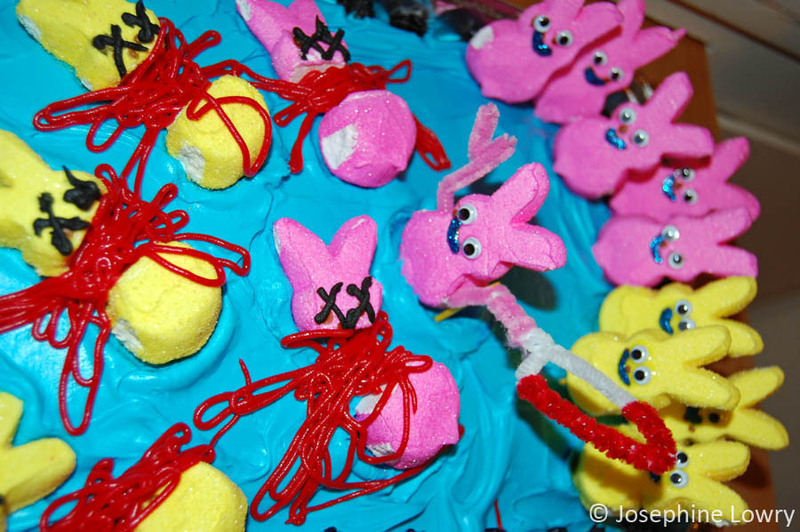 By embracing this time-honored tradition with peeps, we can create a fabulous excuse to infuse all that horrific pastel with some bold red. All that pale pink, the “I’ve consumed my 8 glasses of water” pee yellow, and the acid-wash blue are all just begging for a burst of solid, fully committed color. If these glorious burts of spring joy have whet your Easter appetite, check out the full galleries and let me know what you think. 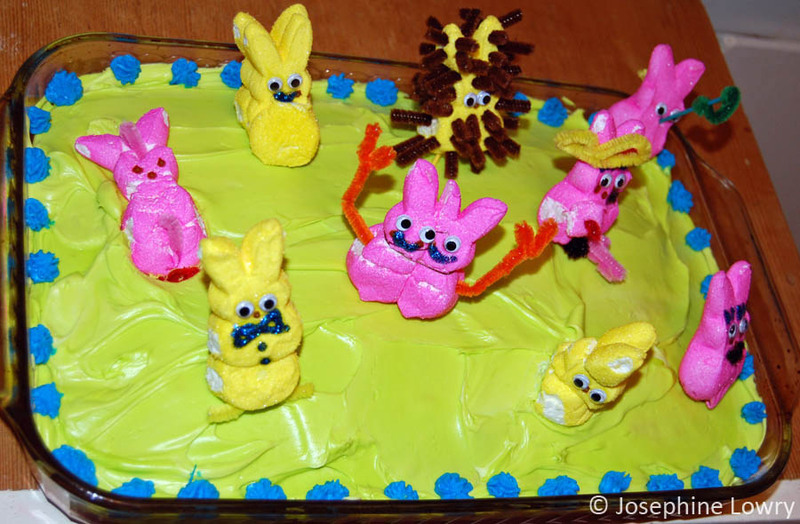 And least you think I’m all Peep’d out, stay tuned for my take on the Peep wreath. Mah ha ha. © Josephine Lowry. Every time someone steals another person’s image and/or copy, a unicorn gets a tapeworm. Link to my blog instead. Your candy art is even more fun than your meat art!